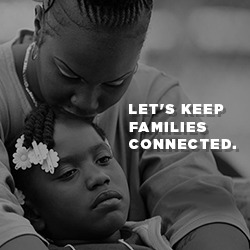 TAKE ACTION: Tell the FCC: Keep Families Connected. End Predatory Prison Phone Rates. The fight for prison phone justice is 15 years in the making. Now the FCC is on the verge of ensuring that no one has to sacrifice basic necessities in order to afford staying in touch with loved ones in prison. But there's no place to put them! I had the same problem as AniMae, and it wouldn't give me any spaces to type them, and wouldn't accept my signature. Must've been a temporary glitch, tried again & it went through! Thankfully, I was able to sign just now! Petition Signed! Thanks for sharing, Dogan! Tried again, and it worked. Signed. This is such a crummy practice. Companies should not get away with it. Thanks Dogan.